Do you love a great read aloud? This has everything you need to use as a book extension before, during, and after your read aloud. A variety of reading responses, graphic organizers, vocabulary cards, anchor charts, story elements, whole group mini lesson and independent application handouts and anchor charts. 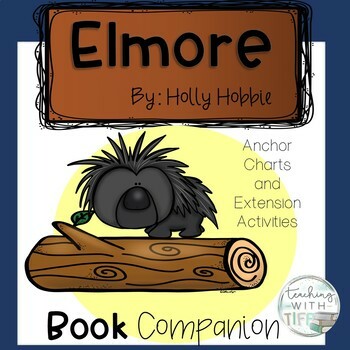 Allows students to grow through making connections and thinking deeper about the text. There are response options that provide Kindergarten options for students that need to respond by drawing a picture along with response options for students in grades 1 and up who can respond with writing sentences. Any questions or comments just drop me a message. Any feedback and reviews are greatly appreciated! *The book is not included in this purchase.